My daughters go to a wonderful little school. And even though I can’t stay behind and help with reading, or help in class, I can make cakes. So whenever there is a fundraiser for the school, I will normally be in the kitchen baking away. 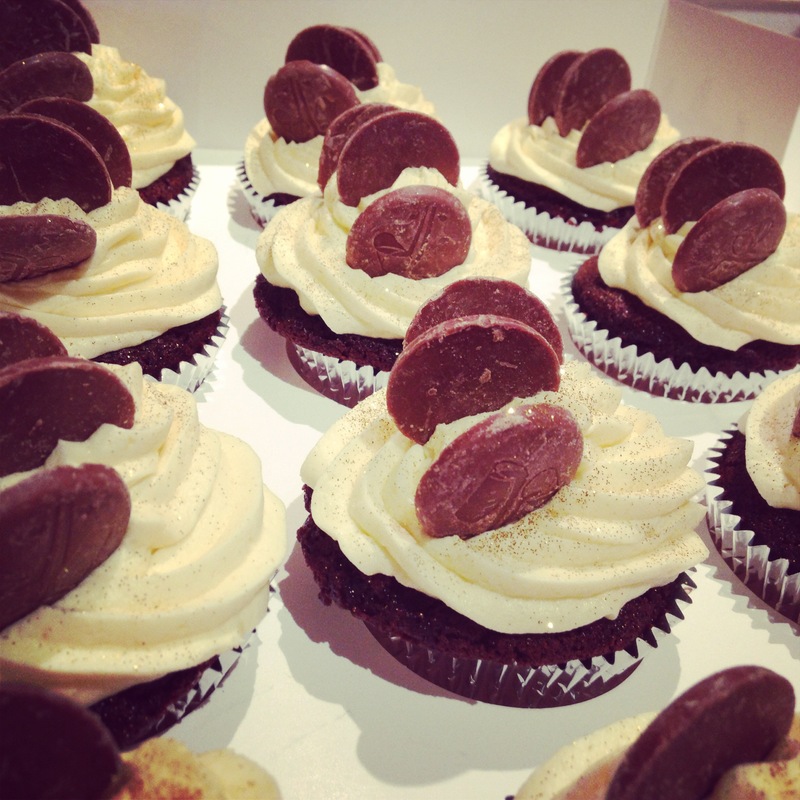 So this fundraiser I made some simple chocolate cupcakes, with a buttercream swirl, Cadbury’s large chocolate buttons, and some all important glitter. And the school were selling these at $3.50 a cupcake. 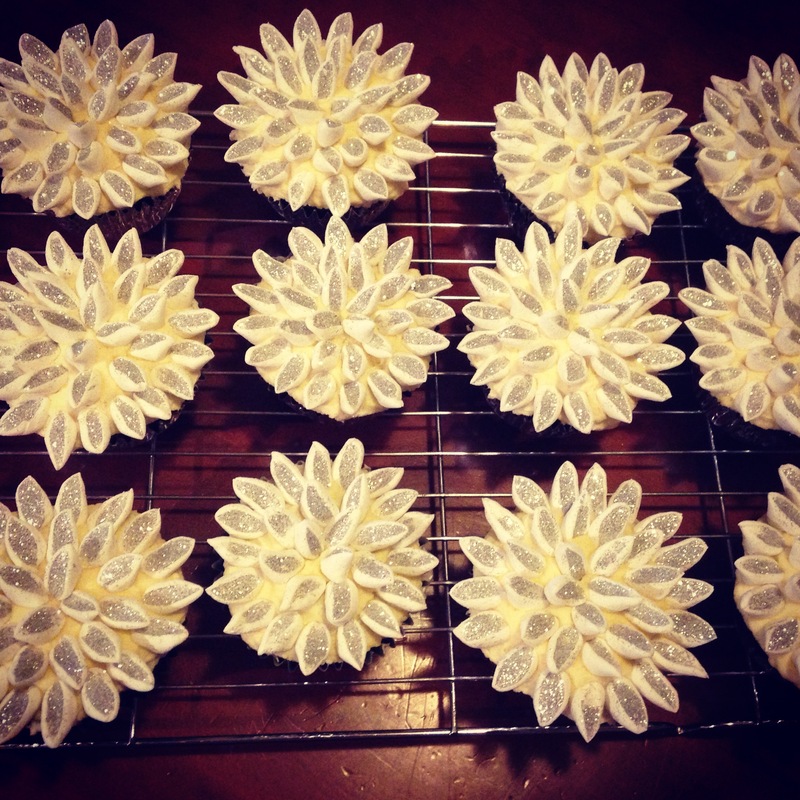 After I made them, I decided to make my Mum’s favourite cupcakes, which are these. Ironically they took longer than the school ones. My girls love making these, and more often than not will have glitter almost everywhere, except on the cupcakes!! I live across the road from a private caterer, she makes the most wonderful food, and amazing pastries. However on this day she popped around and asked if I could make her some pigs for a birthday cake that she had an order for. Now some of you would remember that I had made 2 pig cakes previously. 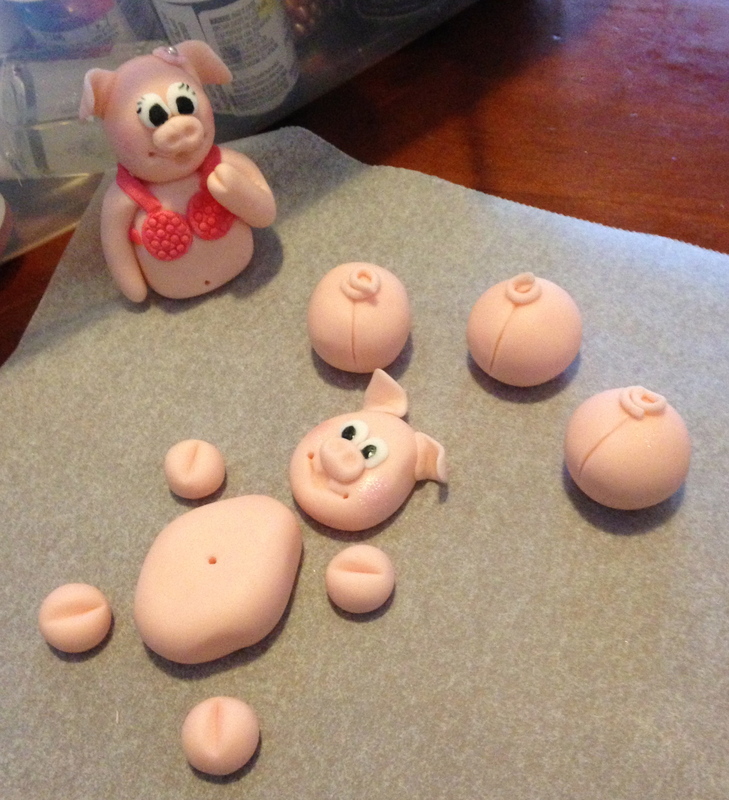 And each time I make my little piggy’s they just get better, and better. And it was a very unique experience to just sit there and make the decoration without having to do any of the baking or decorating. So I took my time, and made sure the details were just right. The difference between the pigs above and the pigs in the swimming pool cake are huge. It definitely shows, that my techniques, and attention to detail, are improving on each cake that I make. I wonder what I will make next? This entry was posted in Uncategorized and tagged Cadbury button cupcakes, flower cupcakes, fondant pigs, gold glitter on cupcakes, school fundraiser cakes by Emma. Bookmark the permalink. Is a stay at home Mum, who loves to bake.